William Wallace Hyslop was born in 1867 in Minnesota. He was educated at Columbia University in New York, and came to Spokane in 1893. 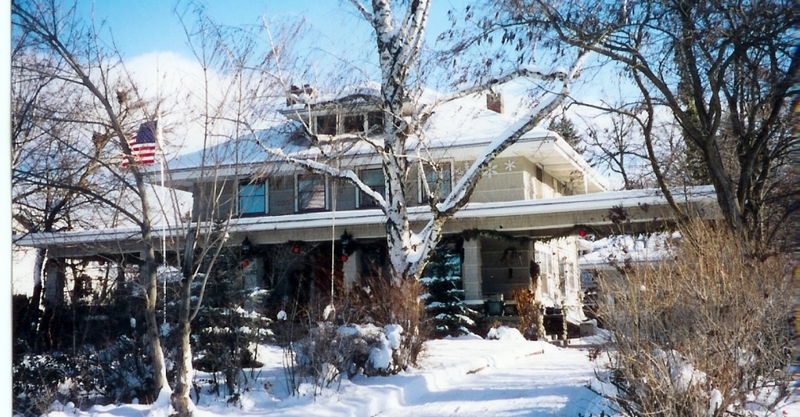 In 1901, Hyslop started to practice architecture in Spokane, and developed a reputation through his work designing personal residences and apartments. During his early years as an architect in Spokane, Hyslop held two partnerships, one with C. Harvey Smith (1901-1904) and another with C. Ferris White (1905-1906), neither of which lasted more than a couple of years. In 1911, Hyslop partnered with architect Fredrick Wescott, and together they published a quarterly magazine called “The Inland Empire Architect” and several books that showcased their work. Some Hyslop’s most notable buildings include the Marlboro Apartments, Avenida Apartments, Westminster Apartments, and the Elm Apartments. 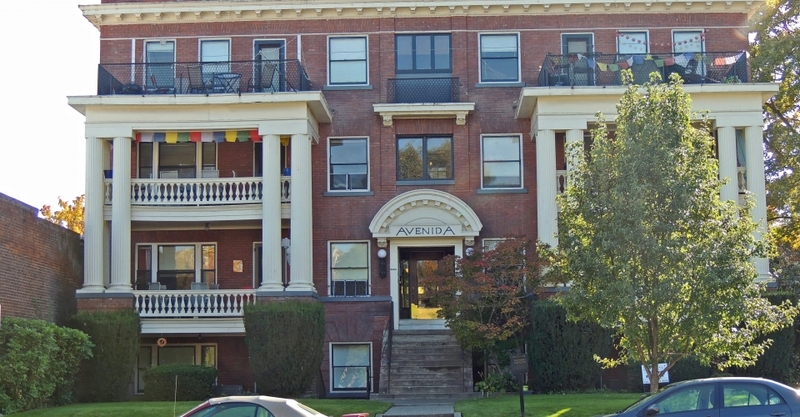 The Marlboro and Avenida apartments were built for two Jewish merchants, Joseph Kellner and Isaac Baum, and can be found in the historic Browne’s Addition Neighborhood. 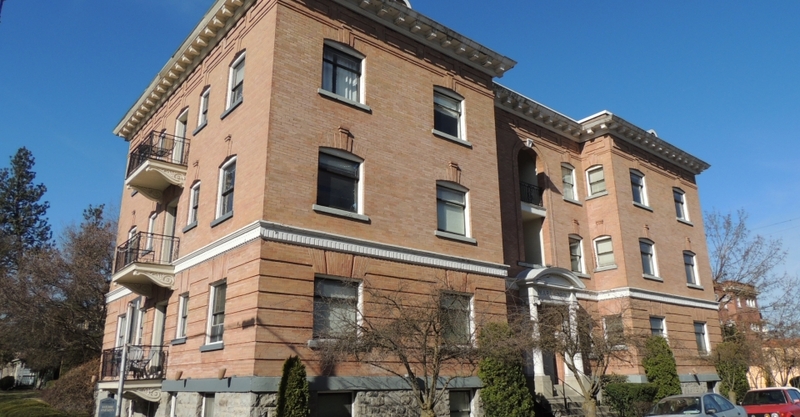 Hyslop’s goal was to construct residences for the older, yet successful and established, Spokane citizens who wanted to move from their larger homes into smaller units while retaining their luxurious life style. To achieve this for his apartments, specifically at the Marlboro and Avenida Apartments, the design called for high ceilings, extensive and detailed woodwork, living rooms with built in buffets, balconies, and large bedrooms. 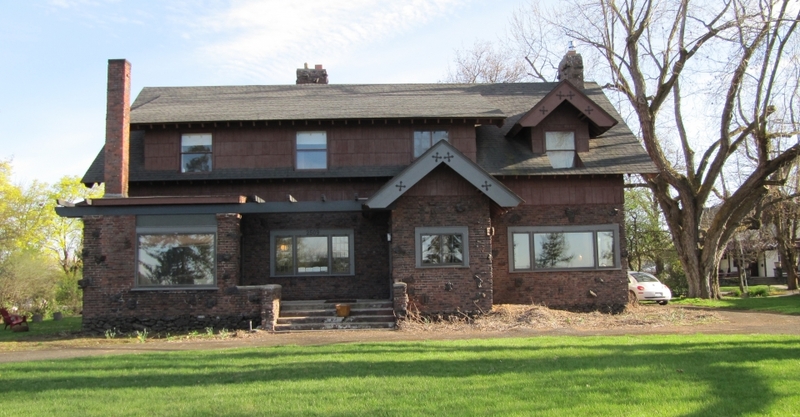 He also designed homes, including the Richardson House, Waldo & Louise Paine House, in addition to several in the area around Corbin Park and others along Rockwood Boulevard. Like many architects during the early 1900s, and typically utilized for his house designs, Hyslop developed a particular design feature that became recognizable as a “Hyslop design,” a kind of “calling card” attributed to W.W. Hyslop. 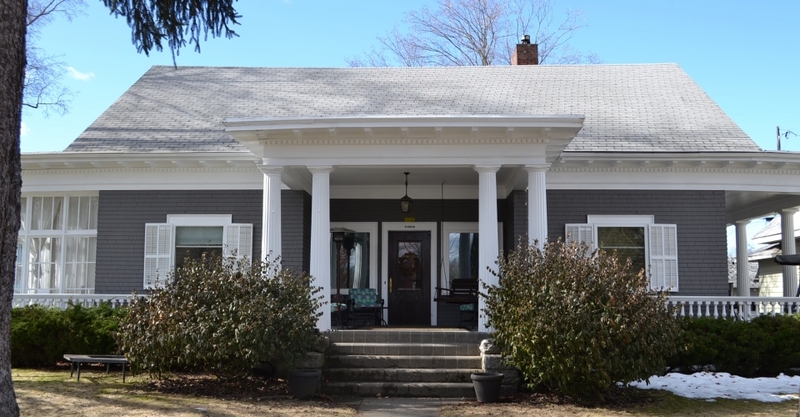 He developed a simple wood diagonal bracket design with plain square-cut edges, which he used with interior woodwork and for many covered porches. His diagonal bracket design is evident in the Waldo & Louise Paine House, and supports the ends of boxed ceiling beams in the home’s living room. In an overall sense, his work is hard to generalize, as throughout the duration of this practice Hyslop’s designs for domestic architecture span a wide spectrum of styles and sizes, ranging from mansions to luxury apartments to affordable bungalows. W.W. Hyslop continued to practice architect in Spokane until his 1917 death at the age of fifty. Ned M. Barnes Northwest Room Vertical File: Spokane Architects- Hyslop and Wescott. Spokane Public Libraries.